The growth and popularity of free schools could expose teachers and pupils to health risks from poor asbestos management, unless the Government gets to grips with providing better training on the matter for governors and teachers. This is the warning from Michael Lees of the Asbestos in Schools (AiS) campaign, who claims that a new Department for Education (DfE) website designed to address a lack of training and awareness around asbestos in schools is beset by funding problems before it has even hit the ground. Lees – who also sits on the DfE’s Asbestos in Schools Steering Group – says the new training facility, which is expected to be launched soon, is a good move “but needs to be properly funded”. He also wants it to be mandatory for school governors and head teachers to be properly trained in asbestos management and wants more resources deployed to improve awareness of asbestos among all teachers and school staff. According to Lees, about £20,000 of funding has been set aside to support the training website, but that will dry up within a year, with the Government apparently still unsure where the money will come from to enable it to continue. 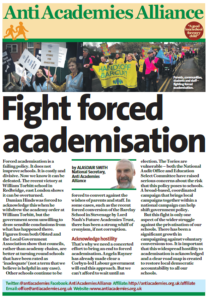 Lees highlighted his concerns following his own collation of HSE enforcement action on asbestos management issues against schools outside local authority control. Between November 2010 and July this year, HSE inspectors visited 158 schools, 30 (19 per cent) of which warranted enforcement notices. There were 70 breaches of the HSWA 1974 and 74 breaches of the Control of Asbestos Regulations 2006. The inspections followed an earlier HSE initiative directed at local authority-managed schools, which resulted in 38 Improvement Notices being issued for similar asbestos failings. The inspections follow an earlier HSE initiative directed at local authority-managed schools, which resulted in 38 Improvement Notices being issued for similar asbestos failings. The HSE released official enforcement figures a few days after Lees published his findings, and there is some slight variation between the two. 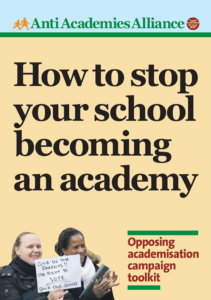 The Executive’s figures, which run from November 2010 to June 2011, show that 164 independent, voluntary-aided and foundation schools and academies were inspected over the period. A total of 41 Improvement Notices were served on 28 schools, with a further 110 given informal advice. The HSE said compliance with the Control of Asbestos Regulations 2006 in England, Scotland and Wales was broadly similar to the level indicated in its earlier survey and inspection programme involving local authority-controlled schools. The Department of Health’s Committee on Carcinogenicity has said it will obtain data on the level of asbestos in school buildings as part of its assessment of the risks to children from exposure to asbestos. Its findings are expected next month. Almost a third of Independent schools inspected by HSE had enforcement action taken. More than half of the schools that carry out their own building and maintenance work had not given their staff asbestos training. 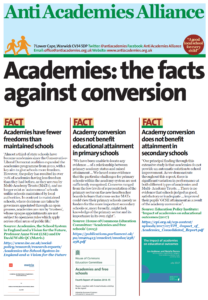 60% of schools that are now Academies had enforcement action taken against them. In addition 110 schools required advice on improvements to their asbestos management. This entry was posted in News and tagged Free Schools. Bookmark the permalink.